Just when you think alcohol can't get better, it just does. 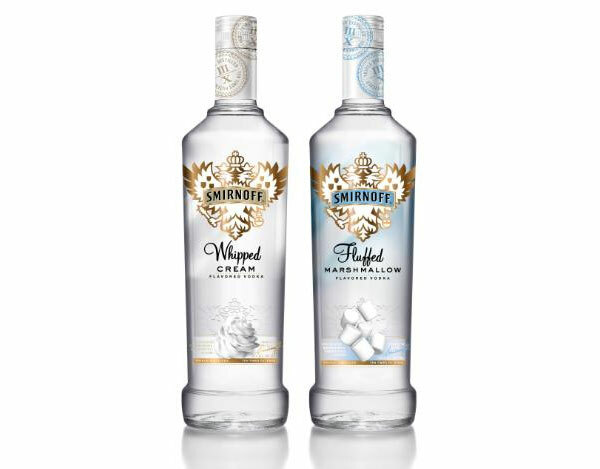 While perusing through my local alcohol store I stumbled across two new and quirky Smirnoff flavors, Fluffy Marshmallow and Whipped Cream. At first glance I couldn't fathom the idea of vodka pairing well with either, so I stood there contemplating each bottle for twenty five minutes. Realizing the time, I decided to pick the retailers brain for his own personal review. After hearing him rant and rave about the sales, taste, and flavor, I walked out with two new bottles of vodka. The bottle of Whipped Cream, is exactly that. It instantly reminded me of baked Alaska or a fresh baked creme brulee with subtle hints of coconut. The sweetness of the drink entirely masks any traces of “vodka”, so be careful how much you consume. I recommend pairing it with coffee or hot chocolate. Saving the best for last, lets bring on the first ever marshmallow-flavored vodka. Fluffed is not the right verb to describe this drink, it has a stronger burn't flavor and a creamier texture. Smirnoff should change the name to toasted marshmallow. However, when a product can make you think of a memory or give you a certain warm feeling, its a definite hit. It brought me back to my camping days where we roasted marshmallows over wood burning fires while wearing flannel shirts. The sweetness level on both is rather strong and the creamy texture is a bit different, but Smirnoff Vodka proves once again how cleverly wicked and original they are. Both flavors are available nationwide and at local retailers.